Ideal for a large group of family or friends to enjoy a holiday or celebrate a birthday, anniversary or special occasion, this well-appointed country house let is perfectly located to explore the south west of England. The closest town is the historic market town of Chipping Sodbury, whilst the cities of Bath and Bristol are each within 10 miles. Dean & Chapter House is a splendid stone farmhouse holiday home located in the delightful hamlet of Codrington on the southern edge of the Cotswolds. 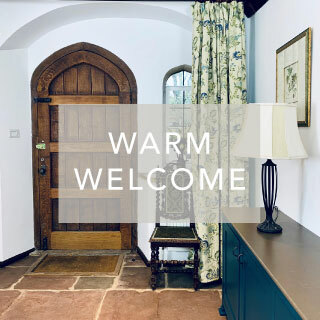 It is a wonderful Grade II listed building dating from the 15th Century with a wealth of original features and luxurious ‘home from home’ touches to ensure you have a relaxing and enjoyable stay. This historic and impressive building has been recently refurbished but retains a rich sense of its arts and crafts history with its stone mullion windows, flagstone floors, exposed oak beams and a wonderful circular oak staircase tower reputedly carved from a single tree. 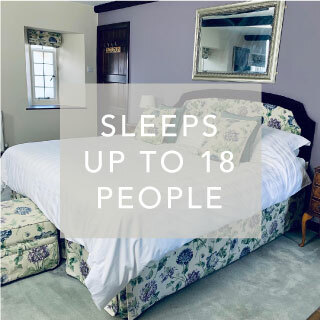 We can comfortably sleep 14 people in 7 bedrooms, including a choice of twin, double, king and super king size beds. A further four people can be accommodated using pull-out twin beds and sofa beds in three of the larger rooms, making them ideal accommodation for young families. There are also two travel cots and additional child ‘camp beds’ which can be made available on request. We have given a great deal of thought to ensuring that you have everything you need to make your stay as relaxing as possible. 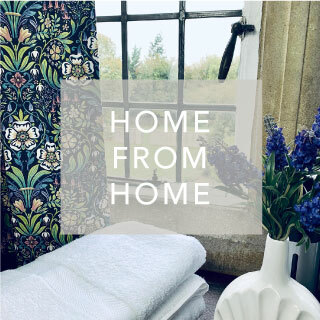 We will provide luxury towels and bedding throughout, as well as our own superb, all-natural skincare in every room. 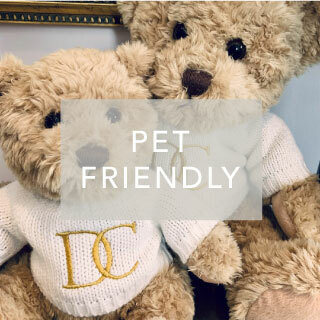 We are a pet friendly holiday let and we are happy for well-behaved dogs to stay at our discretion, please contact us for more information. 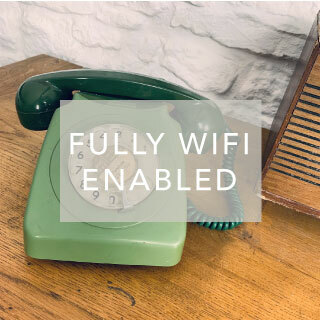 The house is fully WIFI enabled and we would be delighted to provide lots of extras for our younger guests including travel cots, stair gates, suitable plates and cutlery and more. © Copyright Dean & Chapter House, 2019. All rights reserved.